These are lyrics by Johnny Horton that we think are kind of nonsensical. 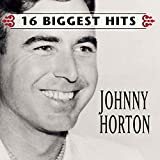 Johnny Horton's, "The Battle Of New Orleans"
The Battle of New Orleans occurred in 1815, not 1814. Also, this song came out in 1959, so the singer could not have been alive in 1814 or 1815.